To start we have always wondered what wine is the wine of Israel? Some have said PS, while others think CF, while others think the classics - CS or a blend. Others think the Australian blends of Bordeaux and Rhone combined. My take was NEVER Syarh till recently, on my recent trip to Israel, where I found WONDERFUL and truly solid Syrah(s). What do you all think - is Syrah the grape of Israel? Long before the quoted articles, I pegged Syrah and one of Israel's great white hopes (back in my annual 2010 summary newsletters). While Syrah is doing fantastically in Israel, without a truly indigenous varietal (which even Argaman isn't and most if not all current versions are not great), I believe that "Israel's Varietal" (i.e. the varietal that will be most closely associated with Israel) will need to be a grape that takes on unique characteristics when grown from Israel, making it recognizable and definable. While the better Israeli Syrah wines do show some Mediterranean terroir, for the most part they reflect thier Rhone heritage and do not taste uniquely Israeli. In my opinion, much better candidates are Cabernet Franc and Carignan. If we are talking about the future of Cab Franc in Israel, the 2010 Tulip Mostly series Cab Franc stood out for me and my friend at the wine festival in Jerusalem. Very enjoyable. It outshined the Ventura which was considerably lighter. As far as Carignan is concerned, I consistently find that the Yaffo version is very good (it was not at the festival). Binyamina had their's in the reserve series but I did not find it memorable. I've had the Barkan reserve a few times which was ok but I had the 08 last Pesach and it was much better than usual which indicates to me that it can shine with age. Last edited by Harry J on Wed Jan 30, 2013 7:51 pm, edited 2 times in total. If we are strictly speaking about the variety that will produce great Israeli wines, and using Squires' criteria that those wines must be age worthy, developing complexity with time, I find it difficult to pick either Syrah or Carignan as fitting the bill based on past performance. Carignan as a grape is ill suited for that, and Syrah, even though great wines are produced from it elsewhere, its Israeli samples have not proven that they develop great complexity over time. There simply aren't enough data points to support that notion. The single vineyard Yarden Syrahs don't seem to have reached that level, especially when they are compared to their Cab counterparts. However, I do see Syrah succeed as a component is some Israeli premium wines, with the most notable example Tzora's Misty Hills. Once we expand the discussion to include the varieties that will be most identified with Israel as a wine producing country, then perhaps Syrah and Carignan are true candidates. These wines will not be super premium wines, but they will be wines that are suitable for everyday drinking, and wines that pair well with Mediterranean fare. Finding that grape varietal that will shine as Israel's signature grape is, first of all, quite a New World approach. Although Israel is considered by most as a New World country wine-wise, I don't think it's fully true. 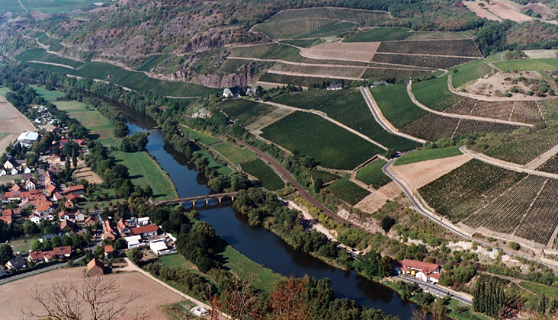 Altneuland, an Old-New country, one that used to be a powerful wine producer and exporter 3000 years ago can't totally be called New World though its Industry is indeed going thru a Renaissance which started with New World wines such as GHW's Yarden. Therefore I'm starting to believe the more and more that blends, Mediterranean blends such as Carmel's Mediterranean, Galil Meron, Shiloh Legend etc. might fit the bill. And Pinchas' example with Tzora's Misty Hills is also a great one being a new world blend (CabSav/Syrah) yet with an old world approach as to its style taste and characteristically speaking. Last edited by Gabriel Geller on Wed Jan 30, 2013 11:34 pm, edited 1 time in total. I found it interesting that Squires seems to consider green as always being a flaw. I know Rogov liked to say that green is part of what makes Mediterranean wines unique. Personally, I'm a big fan of wine with green notes as long as it's kept under control. How does one look at an Israeli signature wine? One approach is the wine/varietal that succeeds best in Israeli climate and terroir. Another, the wine/varietal that reflects the region as a whole --- say, Mediterranean. Third, the wine/varietal that is most popular internationally. Fourth, the wine/varietal that Israelis drink. My guess is that everyone obviously considers the first three. Does anyone consider the fourth? Another question: With all the talk of climate and terroir, does anyone feel that the various regions of Israel have sufficiently distinct character, and second, if yes, are the differences successfully expressed in the wines? That's a great question Isaac, one that I've kept in mind over the past few years. I've tried to notice but to no avail...yet. So many factors in the wine making process. I'd be curious to know other responses. It is worth noting that many wineries will make a Cabernet Sauvignion for example or other varietals blending different regions - including some of the upper tier wineries. If one's looking for fine distinctive CF or carignan, one should look at those made by Vitkin. But they're not kosher and according to comments made to us at the winery, not likely to be. ...and the Wild Vine Recanati Carignan. I was going to say cabernet sauvignon and syrah and ideally a blend as in the misty hills. I find that by a lot of wineries and wine series, the wine that sticks out is the syrah. Isaac Chavel wrote: How does one look at an Israeli signature wine? One approach is the wine/varietal that succeeds best in Israeli climate and terroir. Another, the wine/varietal that reflects the region as a whole --- say, Mediterranean. Third, the wine/varietal that is most popular internationally. Fourth, the wine/varietal that Israelis drink. Good questions. I don't think the question is what Israelis drink now, but maybe what we will come to drink if a certain style distinguishes itself. Regarding the regions in Israel, it's really very early to tell. I do see some difference between 'northern' (Galil and Golan) wines versus Judean hills wines, with the northern wines being more 'new world' with big fruit and the Judean hills wines more restrained and 'old world'. The Judean hills also seem to produce especially robust Merlots (such as Ella Valley and the Petit Castel). The Shomron has great potential, but the wineries are still very new (Shilo, Gvaot, Gat Shomron, etc.). Shilo Legend for example is an innovative wine that needs to be followed over the next vintages. "The wine of Israel" will be something that we can do better here than elsewhere. For example Petit Verdot seems to have an advantage here because it ripens reliably with the abundant sunshine, while it is relegated to only a minor role in Bordeaux. However, it's a very difficult grape to make as a single verietal, so it will probably be part of a blend. We are seeing it in more blends in Israel every year. Petite Sirah is another variety that is doing very well in Israel (the Dalton PS and the Recanati PS-Zin are good examples). Syrah, Cab Franc and Carignan have been montioned above. We also need to experiment more with Italian, Spanish and Potuguese vines. At some point I hope we will hit on a blend and style that just seem to work better here than anywhere else. I do see some difference between 'northern' (Galil and Golan) wines versus Judean hills wines, with the northern wines being more 'new world' with big fruit and the Judean hills wines more restrained and 'old world'. One might ask whether this is the terroir or the winemakers (or, of course, both). The Judean hills also seem to produce especially robust Merlots (such as Ella Valley and the Petit Castel). The might tilt my above comment to the terroir. 2 of the 3 EllahValley vineyards are not in the hills but around the Ellah Valley, much lower than the vineyards of Castel or most of Tzorah's. Closer to the foothills which may technically be in the the Samson region or borderline. The query immediately brings to mind Miss Mona Lisa DiVito's answer in My Cousin Vinny to the prosecutor's question about the engine of a certain car... "I can't answer that question your honor because it's a trick question!" First of all, and it's a very big first, you need to understand that Israel is absolutely still a baby in it's renaissance as a great wine producing nation or region. It's a beautiful baby, and as Israelis like to say "Yes, we were born yesterday, but we stayed up all night!" But we're still babes. 2nd of all many grape varieties, and Syrah/Shiraz as a particularly ancient one surely fits the bill, come in many clonal variations. And sometimes those clones are pretty damn different themselves, but far too few of Israel's current vineyards even know what dang clone they have planted! A few years back there was primarily only 2 clones planted and productive in IL - one known as the "true (French) Syrah" clone and the other known as the Australian Shiraz clone. They were clearly different by ampelography - the French one had smaller rounder berries with more open clusters and lighter weight clusters, and the Aussie one had larger more distinctly ovoid berries and much more densely compact clusters (not smaller clusters, tighter packed ones.) In the vineyards I worked with the French clone yielded superior results even when planted in inferior locations: sea level (or lower) heavy clay black soils in the Izreel Valley vs red soils or even volcanics at 300-400 or even 750 meters elevation. Now there is more than one clone of French origin alone! Having said that, I'm not sure Syrah thrives so well in Israel's typical heat, especially not thriving to the point of producing distinctive wines with potential for longevity and complexity. It is after all in a way just a big (or baby or big baby?) brother that lives down the street both in location and reputation from Pinot Noir - at least in France. Cab Sauv remains king in that regard here, although I think ultimately CS, CF, PV, and ME blends, or some permutation of them featuring more PV than is common in France or California or OZ, is likely to gain ascendance. PV as a larger moiety because it holds acidity and deep color better in our frequent overly hot growing seasons. I assume that you're most certainly referring to Gvaot's Shivi Drori's research at Ariel University? I was turned on to these discoveries and developments by two old friends in the Ministry of Antiquities - Dr. Yigal Israel and Nachson Sneh. The grape gene ID work has a least partly been done by INAO labs in France, so it's not only (or originally, so far as I know) Dr Drori's work. It is a collaborative effort among labs, departments, and individuals.